Marisa Brown has more than 25 years of experience in business, research, writing, speaking, and consulting. Currently, she focuses on the in-depth needs of APQC’s members in supply chain management and product development as she develops and oversees APQC's supply chain management research agenda. She leads APQC’s supply chain team that conducts research to provide insights into benchmarks, best practices, and process improvements in supply chain planning, procurement, logistics, manufacturing, product development, and innovation. Marisa writes and publishes relevant content on APQC's Knowledge Base, the APQC blog, and third-party sites. Since joining APQC in 1996, Marisa has led several of APQC’s key growth initiatives. Prior to her current role, she was the director of APQC's Research Services department and before that was the founding director of APQC’s Knowledge Center. She has led some of APQC’s largest research projects and served as project manager, client manager, subject matter expert, and co-author on numerous projects. She was a senior program manager for APQC’s Open Standards Benchmarking® in supply chain, innovation, and product development. And prior to that she led APQC’s Collaborative Learning group and oversaw APQC’s annual multi-client research projects, taking consortium studies from initial market development through delivery and completion. She also helped establish APQC’s services for education institutions and has managed education research projects on topics such as assessing learning outcomes and institutional budgeting. Marisa has written more than two dozen popular APQC research reports including Understanding Millennials in the Supply Chain, Evaluating Strategic Investments in High-Potential Finance Talent, Blueprint for Success: Procurement, Open Innovation: Enhancing Idea Generation Through Collaboration, and New Product Development: Embracing an Adaptable Process. A frequent media contributor, she has provided interviews or penned articles for publications including Supply Chain Management Review, CFO.com, SupplyChainBrain, Paytech, IT World, Spend Matters, Supply & Demand Chain Executive, and many others. She has spoken at numerous different conferences including most recently those belonging to APQC, Project Management Institute (PMI), PDMA, KMWorld, and SPE’s International Polyolefins Conference. Prior to joining APQC, Marisa received extensive training in ISO 9000 quality system implementation and was responsible for its development and supervision at a San Antonio lighting manufacturing company, where she was also the director of marketing. 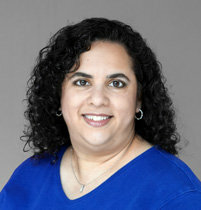 Marisa earned her Master of Business Administration degree with highest honors from The University of Texas at Austin Graduate School of Business, where she was a Dean’s Award recipient. She also earned her Bachelor of Business Administration degree with highest honors from The University of Texas at Austin, majoring in honors business and finance. When not working, she and her family are extremely active community volunteers. Besides having served as a Girl Scout troop leader for a decade, she volunteers with SEARCH Homeless Services, Star of Hope Mission, Seven Acres Senior Care Services, U.S. Vets, Houston Food Bank, her children’s school, and other community organizations. In fact, she and her husband met while both volunteering at the SEARCH homeless shelter.